Flowing deep below the ground runs an aquifer that stems from Glacier Peak. This is where the Town of Darrington gets the clean, fresh water that we are known for. Our water is exceptional in taste and clarity and is not treated with chemicals. The Darrington Utilities Department must follow strict rules and standards that are regulated by the Department of Health to keep your water safe and clean. We test our wells on a monthly basis to ensure that the water you are receiving meets or exceeds those rules and standards. The quality of water that comes from the wells that hold our water is of utmost importance to the Town of Darrington Utilities staff and we strive to make certain our community has safe and clean water now, and for years to come. The Town of Darrington Utilities Department currently serves approximately 600 accounts. We provide water and garbage service within town limits and bills bi-monthly for those services. The balance is due 20 days after the issue date. Accounts are considered delinquent if the payment is not received by the Due Date shown on the bill. In the event that an account should become delinquent, a Delinquent/Termination Notice will be issued. A penalty of $10.00 will be assessed against all delinquencies. Please consider this the final notice that your utility services will be discontinued and disconnected if full payment plus any late charges are not received by the due date on the Delinquent/Termination Notice. In order to reinstate service due to failure to pay, the total balance plus an additional $100 Termination Fee will be required. All new service accounts are required to fill out a Town of Darrington Utility Service Application. A $25.00 registration fee is due at that time. Please contact Town Hall when you no longer require services or to provide closing or move-out information. Any previous balance on the property must be paid in full before the next customer requests service. 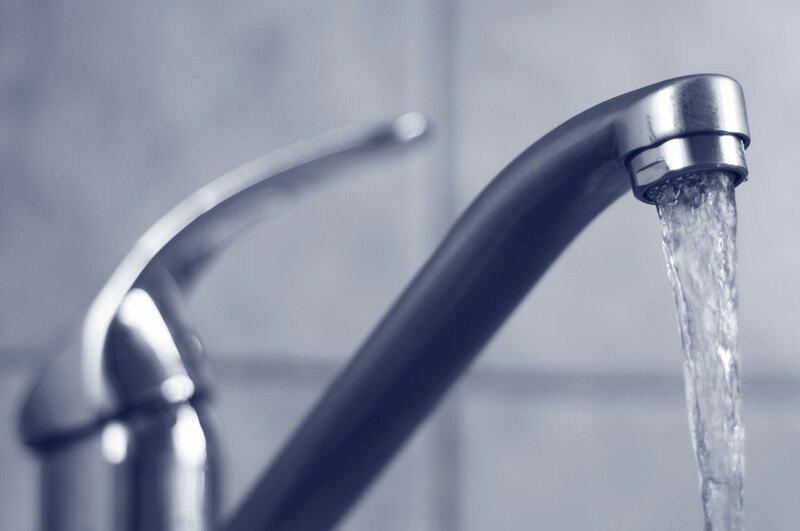 In order to shut-off or restore existing utility services at your home or property please fill out the Voluntary Water Shut-off/Restoration Waiver and Indemnification Agreement and submit to the Utilities Manager for processing. Once the form has been received, the Utilities Manager will contact you to make arrangements with the Utilities Supervisor. Town of Darrington Utility Service Application. Click the button below to download the application. 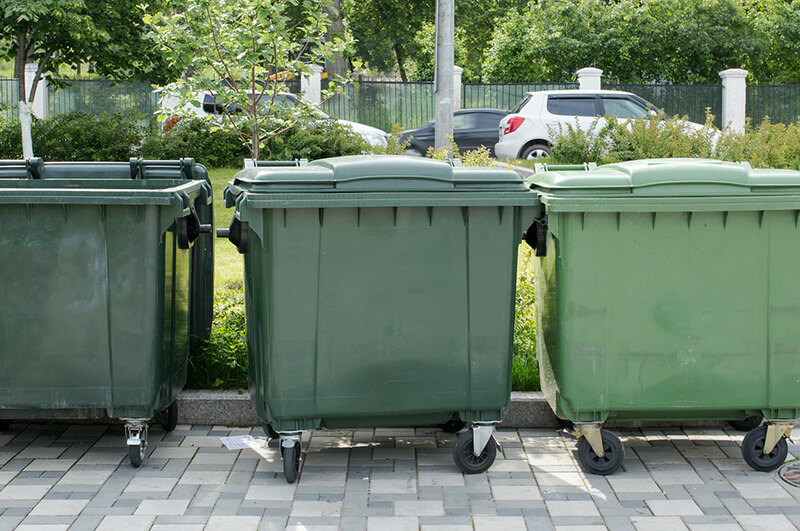 It is a requirement in accordance with Town ordinances that each residence or business establishment have adequate garbage service with Waste Management. These services are billed through the Town for your convenience. Please visit the WM Northwest/Darrington website for information on collection and holiday schedules and recycling information. Click HERE for an overview of Garbage Container Options from Waste Management. Need to change services? Please Contact a Town Hall representative to assist you with your Waste Management needs. Waste Management also provides dumpster rental services for home or business. Ordering is made easy through the Waste Management website. In an effort to keep our streets clean from debris and pollutants the Town of Darrington would like to remind residents to remove garbage and recycling containers from the right-of-way to allow the sweeper to clean our streets. Let’s all do our part to keep our streets clean! Service days for recycling and garbage services will be changing and will take effect the week of October 8th, 2018. Please watch for a Notice from Waste Management that will indicate what your service day will change to. Please join the Town of Darrington, Hampton Lumber Mills, Puget Sound Clean Air Agency, and Snohomish County Public Works Solid Waste in making these FREE programs an “alternative to burning” a success. 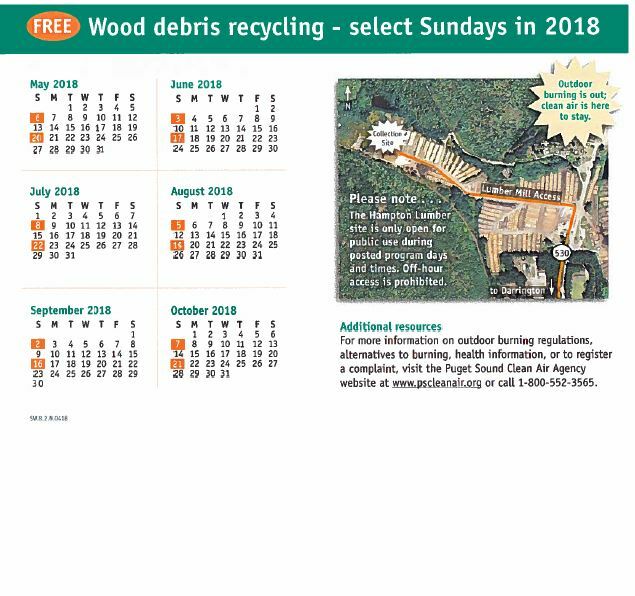 Bring your wood debris to our collection site at the Hampton Lumber Log Yard for recycling on select Saturdays from May-October. 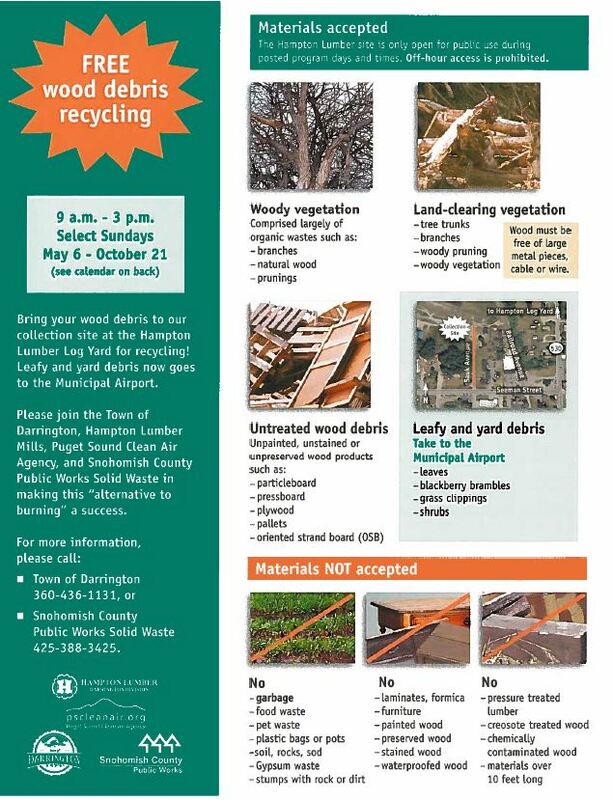 Leafy and yard debris may be taken to the Darrington Municipal Airport ( North Sauk Avenue) and placed in the collection dumpster during daylight hours.